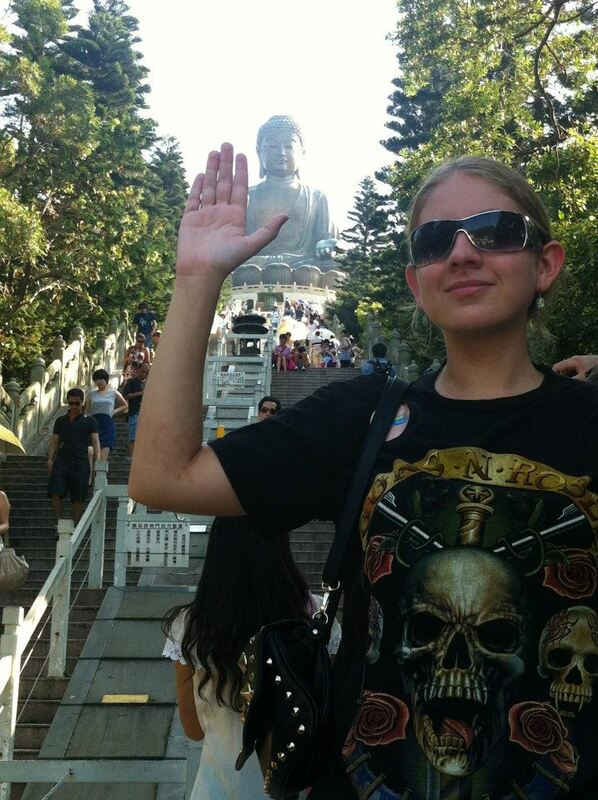 This is me standing at a the ‘big Buddha’ in Hong Kong. Loved this place! With the typical image of the ‘bronzed beach babe’ as a symbol of health and beauty, I have never heard anyone describe my pale toneless non-tan as “pretty.” The young girl then stretched up her hand and touched a strand of my blonde wispy hair and said, “I hope when I have a daughter she has pretty hair and eyes like you.” Recalling a lesson from high school biology, I was fairly certain that this was one birthday wish that would remain un-granted. I returned the young girls compliment and with a quick pursed lip smile, she run off to join her other Disney Princess friends. While the sentiments from the young girl at the birthday party (and the many similar comments I experience,) were complimentary, such interactions were honestly – odd. It felt weird to have the colour of my skin so frequently singled out. When a comment or compliment was made, I simply felt uncomfortable, and often didn’t know what to say in return. I hadn’t done anything to earn this shade of non-tan, and being the privileged white woman visiting an Asian country did little to settle the queasiness that turned my stomach every time the topic appeared. All I really could do in such situations was purse my lips into a smile and said “thank you,” like any good Disney Princess would. Next Post Oooooo look! Pretty Pictures!